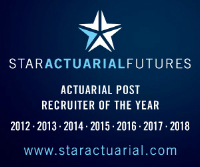 We are currently recruiting for an Actuarial Senior Consultant / Manager to join our Life Insurance / Finance team. You will have excellent technical and communication skills, be passionate about making a difference to your clients, progressive in your thinking, and willing to invest in your own career and develop in a supportive team environment. We will also consider those interested in a fixed term contract. Experience the difference with KPMG, one of the world’s most respected and trusted professional services firms. We offer rewarding careers for outstanding professionals in our open and friendly culture. After a new challenge? KPMG Actuarial, the actuarial consulting division of KPMG, has a team of over forty actuarial professionals operating in general, life and health insurance as well as finance and funds management.